Much of East Malaysia on the island of Borneo was once covered by natural vegetation like lowland rainforest, montane forests at high altitudes, and mangroves along the coasts. Many natural areas still remain today, and most are reasonably accessible, but in some cases do require long road or river journeys. 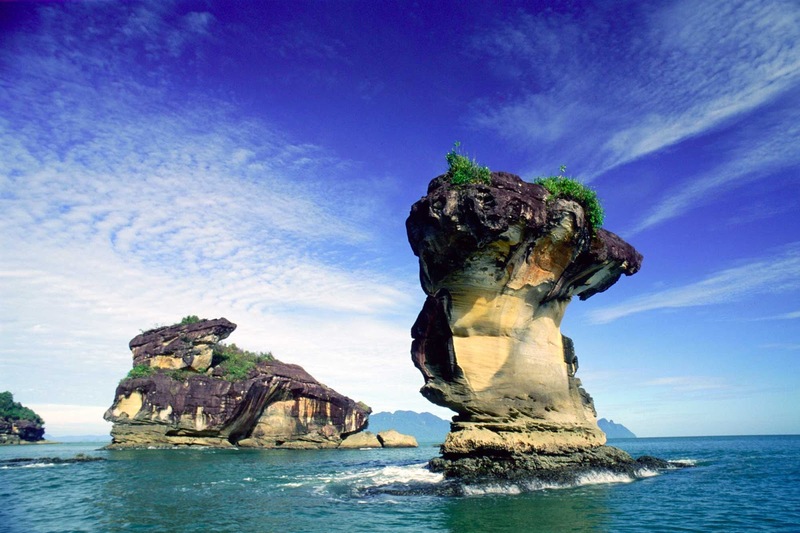 Here are five fabulous natural places to put on your list of East Malaysian travel destinations. One of Sarawak’s smallest national parks (just 2,727ha) punches way above its weight class in terms of wildlife. Located 37km from the Sarawak capital of Kuching, Bako supports stands of most plant communities found in the state with mixed dipterocarp forest, mangrove forest (where it’s possible to see Proboscis Monkeys), grasslands, peat swamp forest, and a very unusual kerangas, or heath forest, where pitcher plants thrive in the nutrient-depleted soil. There are a dozen trails to walk, from a few hundred metres to several kilometres in length and overnighting in basic park accommodations is an option, though most visitors return to Kuching and stay in hotels such as the Pullman Kuching. Being a UNESCO World Heritage Site, Kinabalu Park is recognised as a centre of biological diversity as well as a venue for adventurous activities in nature. 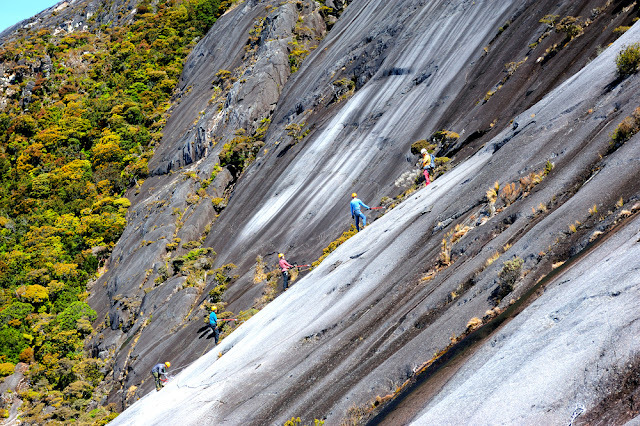 Conquering Mount Kinabalu, Malaysia’s highest mountain at 4,095m, is the park’s biggest challenge. The climb normally takes two days with an overnight stay in comfortable accommodation operated by Sutera Sanctuary Lodges at Laban Rata. Climbers head off in the early hours of the second morning to conquer the summit at the sunrise. While the climb doesn’t require mountaineering skills, climbers need to be in reasonable shape as it isn’t a stroll in the park. All groups require a guide, foreigners pay much more than locals, and all must take warm clothing as temperatures at the Low’s Peak summit can be quite cool. The park’s milder temperatures and wildlife diversity also appeals to armchair travellers content on lazing around Park Headquarters. Sabah’s Lower Kinabatangan River is worth exploring as it offers various plant communities and is within a four-hour drive of Sandakan. The Kinabatangan River, at 560km, is Sabah’s longest and the floodplains of the lower reaches are one of Borneo’s most species-rich habitats. Saved from logging and oil palm plantation expansion, the Kinabatangan Wildlife Sanctuary, centred on Sukau, includes the Menanggol River. It’s possible to stay in eco-lodges and enjoy trips on small boats up the Menanggol for one of Malaysia’s best wildlife experiences. 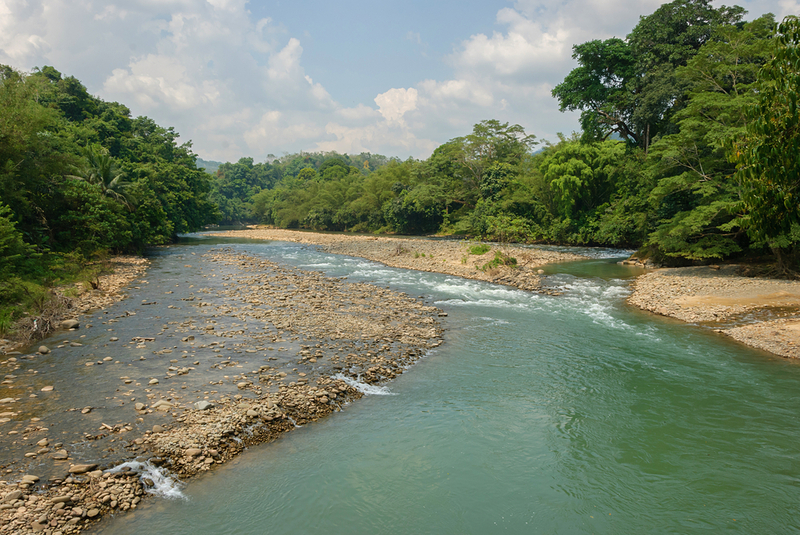 This tributary is home to animals such as Bornean Pigmy Elephants, Proboscis Monkeys, Crab-eating Monkeys, and Orangutans. Seeing wildlife in the Malaysian rainforest isn’t always easy, but opportunities are as good as they get along the Menanggol. Journeys to nearby mangroves and freshwater lakes are also possible as is a visit to Gomantong Caves. Visitors can stay in resorts such as Proboscis Lodge. Mount Mulu with the aid of experienced guides. The final climb is steep and without the assistance of fixed ropes. 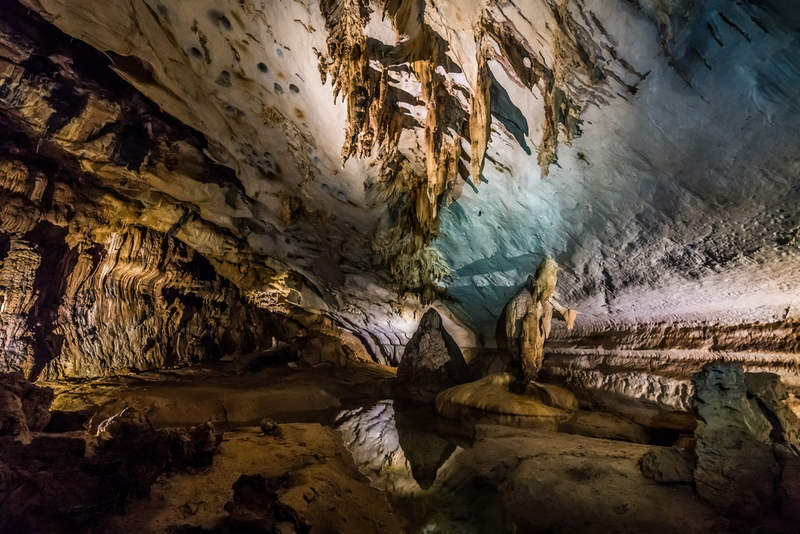 Mulu has four main public caves – Deer, Lang, Clearwater and Wind. Deer Cave is the largest passage in the world while Sarawak Chamber is the world’s largest chamber. The preferred choice of accommodations in Mulu is the luxurious Mulu Marriott Resort. 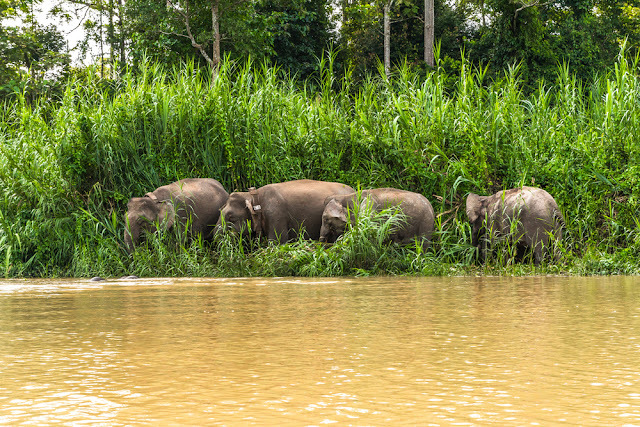 The reserve has been established to protect large mammals such as the Bornean pygmy elephant and Sumatran rhinoceros. So rare is the rhino that even park rangers haven’t sighted it, but experts suggest that roughly 25 live in the park, as hoof marks are occasionally sighted. A buffer of secondary forest and an inner zone of undisturbed primary forest are home to many bird species and other animals. There are several hot and humid walks to traverse and waterfalls and streams to explore plus a few fascinating mud volcanoes of just a few metres in height. Tabin Wildlife Resort offers comfortable accommodations, particularly considering its remote location.